This 34mm. 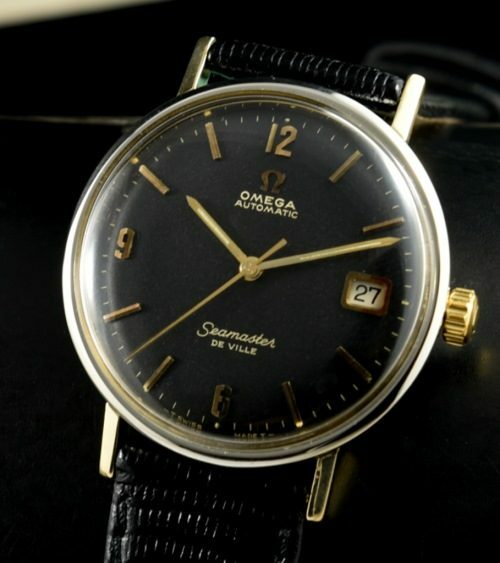 circa 1964 OMEGA SEMASTER DE VILLE is a stellar example due to its completely original and uncommonly seen BLACK DIAL. This original black dial is essentially pristine and retains the original hands as well. The OMEGA rotor automatic movement was just cleaned and is accurate. The OMEGA (expensive) signed crystal and correct OMEGA crown are both present. The case isa 34mm. very clean 14k. solid gold capped over steel with stainless steel sides (two-tone). 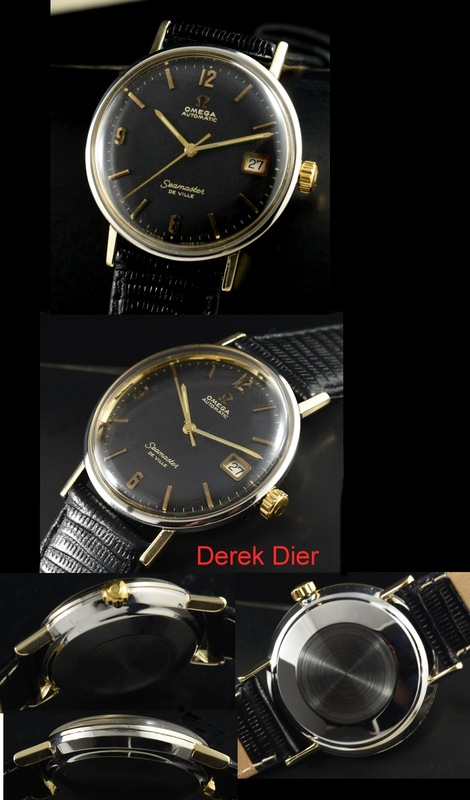 I really must stress-original black dials are very uncommon to find on these watches. This is a great buy at only $1395.